Linklaters looking for expansion in China? 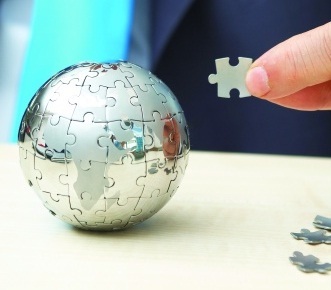 There are reports that Linklaters is looking to join forces with firms in China. Global Law Office and Commerce & Finance are both said to have been approached by the magic circle firm. Although Linklaters operates in some areas of law in China and has a number of partners, this would see its presence increase and widen in the country. So far, it would seem, it may be talking to potential suitors but a deal appears to be some way off. Read the full story. With the open market for south eastern Asia creating many new opportunities from next year, Singapore law firm Wong P has opened a new office in Myanmar. With investment there set to grow, the firm will initially have two partners working in the country but would expect to expand as the work increases. Read the full story. Major US law firms have started hiring again, after a slump in recent years following the economic downturn. Finding a way in for graduating students may be tough, though, as the numbers seeking positions is at a high, with close to 47,000. The expectation is that only the top 10 per cent will get straight into the big firms. Rewards of gaining an entry-level big law job are high though, with average starting salaries in the region of $160,000. Read the full story. A report by the UK Law Society has found that solicitors are, on average, in better health than the population as a whole – 88 per cent say they are in good health. Stress is the biggest issue with 95 per cent saying they felt stressed by client expectations or workload, 16 per cent describe stress levels as ‘severe’ but only 2 per cent were planning to seek help for it. Almost half of those surveyed said they had been into work when sick. Read the full story. Lawyers for the Essendon Bombers Football Club have filed an injunction against the Australian Sports Anti-Doping Authority to stop any further action being taken against players following an investigation into the club’s supplement program in 2012. ASADA is requiring players to respond to show-cause notices and the injunction, filed by Maurice Blackburn principal Josh Bornstein seeks to end all action until the federal court rules on the legality of the investigation. Read the full story. The US Supreme Court has rejected a bid by business groups including oilfield services giant Halliburton, to put a stop to class action lawsuits over securities bought on public exchanges. The businesses were hoping to overturn a decision made in 1988 that set a precedent in such cases. However, the court on Monday ruled that Halliburton had not shown “the kind of fundamental shift in economic theory” necessary to have the precedent over-ruled. There was a partial victory for the businesses though, with a new tool to weed out weaker cases in the early stages. Read the full story.